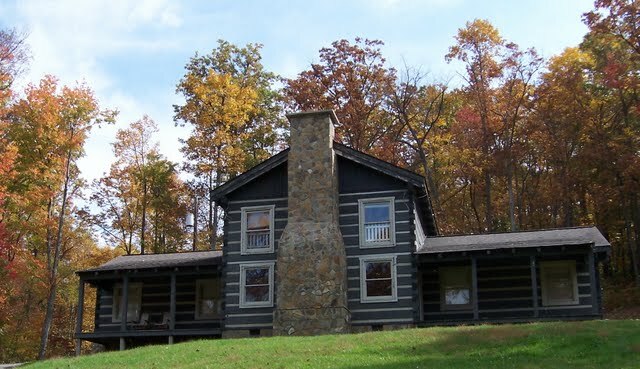 Camp Bethel is located on a beautiful, 160 acre property nestled in the Appalachian Mountains of Southwest Virginia. Whenever we have added to or modernized our facilities we attempt to retain the rich regional culture and history. 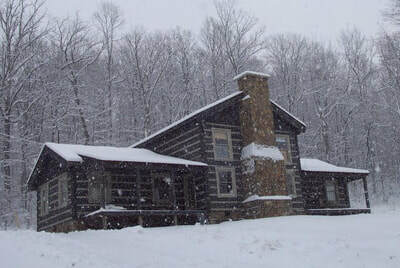 Most of our facilities are reclaimed and re-modeled log cabins, many of which carry a 200 year history. All of our campground and facilities are smoke-free and alcohol-free. ​Please contact our main office (​1-800-359-4049, 276-328-6876, or info@campbethel.com with any inquiries about availability and/or pricing. This comfortable, two-story cabin has 40 twin beds, separate upstairs and downstairs shower/bathroom facilities, and climate control heating/AC for year-round comfort. The upstairs has three rooms; the two outside rooms sleep 9 each, and the middle room sleeps 13. The downstairs has two rooms that sleep 9 each and a medium sized conference room. Each sleeping room has it’s own bathroom containing two toilets and two showers. Also includes heat/AC. Once known as the Pavilion this building now has two stories each with 13 beds. No heat/AC, and requires use of Bathhouse. Downstairs has 10 twin-bunkbeds and 1 single bed while the upstairs has 6 twin-bunk beds and 1 single bed. No heat/AC, and requires use of Bathhouse. Downstairs has 10 twin-bunkbeds and 1 single bed while the upstairs has 10 twin-bunk beds. ​No heat/AC; and requires use of Bathhouse. Upstairs sleeps 15, has two toilets and one shower. This building also houses our Camp Store and there is a downstairs fireplace. ​No heat/AC, and requires use of Bathhouse. Downstairs has 10 twin-bunk beds and 1 single bed. No heat/AC, and requires use of Bathhouse. Downstairs has 12 twin-bunkbeds and 1 single bed while the upstairs has 10 twin-bunk beds and 1 single bed. No heat/AC, and requires use of Bathhouse. ​The Dawg House is a beautiful cabin overlooking the lake at Camp Bethel. It has a full-size bed, but additional bunks can be added on request. Amenities also include a bathroom, kitchen, and small dining and living rooms. No heat/AC, though it has a fireplace. This full-sized gymnasium has a high school regulation-size basketball court, and a medium-sized stage area for concerts or worship services. Dining within this facility is also possible as it has an adjoining large kitchen. For year-round enjoyment, this building also features a 20 foot indoor climbing wall equipped for two climbers. This multipurpose facility can accommodate up to 320 individuals for assemblies, banquets, etc. Additionally, this facility has three private suites (1-2 individuals) that include a bedroom, kitchenette, bathroom, and a small dining area. This apartment style lodging is available for daily or short-term rental. The re-modeled two-story log cabin offers country charm in the midst of beautiful mountains, and you can rent individual rooms or the entire cabin. ​Amenities include 2 floors, 4 bedrooms, 3 bathrooms, 2 kitchens, 2 dining areas, 2 living rooms, and 1 fireplace (downstairs living room).